Happy July! Need another Reason to Smile? SU has a GREAT special this month! 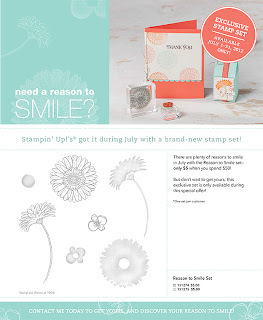 Get the Reason to Smile Set (up to a $20.95 value) for just $5 when you spend $50 on any Stampin' Up! products. Remember, you can order online anytime! 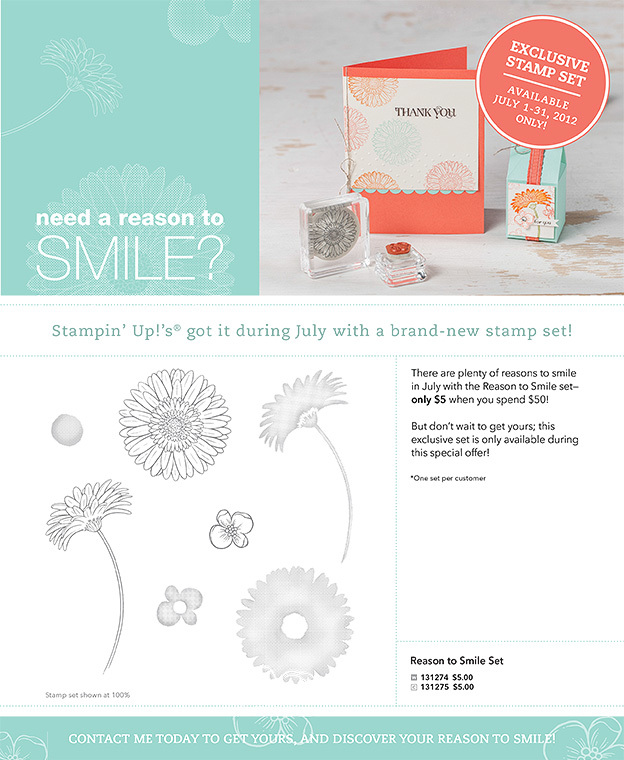 Don't miss out on your opportunity to get this exclusive stamp set!